When I was looking for a wedding guest book I wanted to go for something different and unique. So this bride was thrilled when I found this unique wedding guest book idea! Many of us brides take engagement pictures and would LOVE to display them in a beautiful way. This guest book shows off your beautiful pictures and serves as a guest book! They are engraved photo mats and pictures frames from I do Engravables. The idea is to have your guest sign your photo mat with an engraving scribe and you get to keep it as a real keepsake picture frame. I thought it was such a creative idea and something that I will actually display in our home. What do you guys think? Any cool guest book ideas you want to share? Just comment below. I LOVE Lauren Merkin Bags & Clutches and I heard there is a sample sale!!! I was so excited when I saw these beautiful pictures from New York wedding photographer Levi Stolove of this June New York Wedding that I had to share! The outdoor wedding took place in the brides parent's home and had a beautiful "homemade kinda feel", says Jen, the bride. The wedding was decorated with paper lanterns, handmade origami, wild flowers and vintage jars. The result, a romantic wedding spent with family and friends. What more can a girl ask for. This is an awesome opportunity to meet the Wedding Designer Michelle Rahn! On August 27th-28th, Michelle Rahn will be debuting her new collection at Manhattan’s storied Carlyle Hotel, where brides will have the opportunity to meet with the designer herself, shop our collection of gorgeous gowns and accessories, and even work hand in hand with Michelle to design a completely custom one-of-a-kind gown if they wish. All the while, brides can enjoy the private and luxurious Carlyle suite where they can share a truly couture trousseau experience with friends and family. Perfect wedding favors or brides maid gifts! 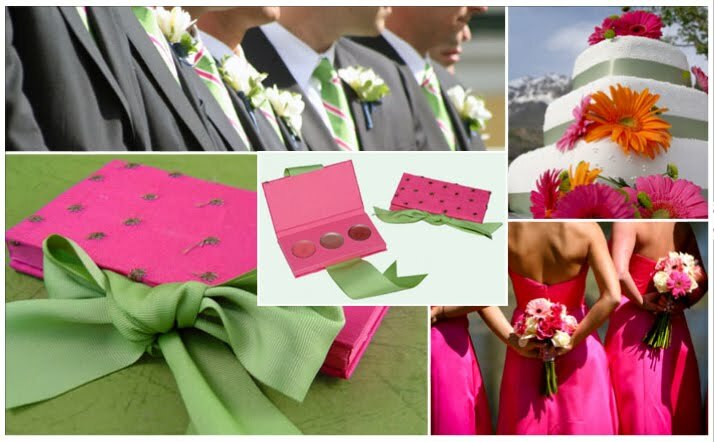 Can't Find the Perfect Wedding Favors or Bridesmaid gift? There is an elegant answer for the style-savvy bride! 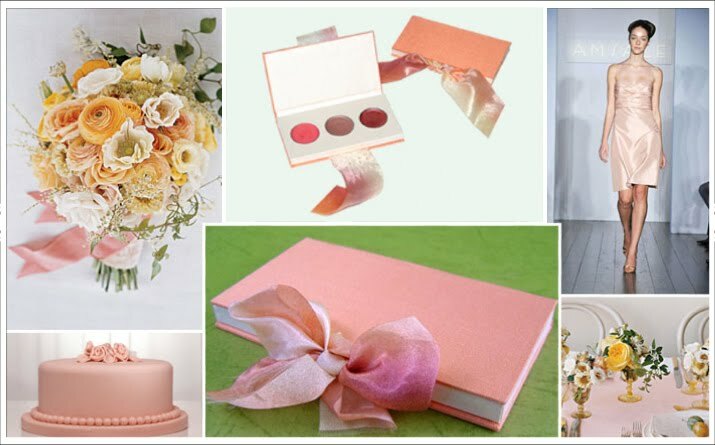 A custom Lip Palette to match your wedding style! 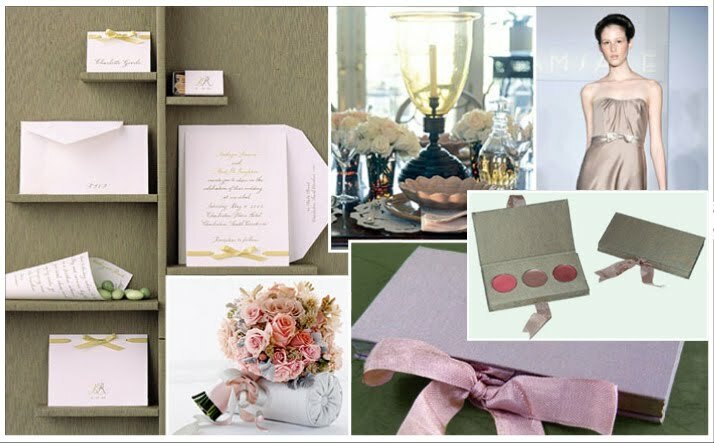 Carli Windsor Custom Favor lip palette design offers the perfect mix of style and sophistication for your special event. Each favor is a beautifully designed custom cosmetic compact that is a unique reflection of your personal style; truly crafted to fit the specific décor and theme of your inspired vision. I also think they make a cute bridesmaid git too! Or even a nice bridal shower gift! To see more of Carli's gorgeous custom favor designs visit her website here! I wanted to share some more pictures of the luxury turquoise and crystal starfish invitation Lela New York created for a destination wedding in the Dominican Republic. I loved the yellow touches and woven paper accents. I love the soft pinks and grass colors in this wedding inspiration board. The luxury wedding invitations are designed by Lela New York. The custom invitations were letterpressed in pinks and greens in a tropical Hawaiian theme. This Hawaiian wedding theme would be perfect for summer and destination weddings alike. Wedding Dress by Michelle Rahn, Cake by Eat Cake Be Merry, Shoes by Manolo Blahnik, Bridesmaid Dress by After Six, Boutonnieres by Poppies and Posies. This New York Bride had her engagement photo shoot!!! yay photos are here! I had so much fun with Catherine and Al from Catherine Leonard Photography shooting my E-shoot. The pictures were taking in one of my favorite places, Central Park's Bethesda Fountain. I LOVE my engagement photos! Here's a peak. With SO many parties and celebrations to go to during my engagement I had to go shoe shopping! Here are some that caught my eye and would work great for my wedding shoes, bridal shower or other engagements. 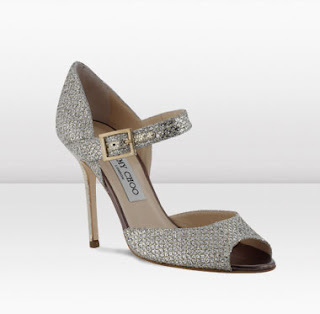 I LOVE the Silver and crystals in this Stuart Weitzman Wedding Shoe! I LOVE this Blush color! 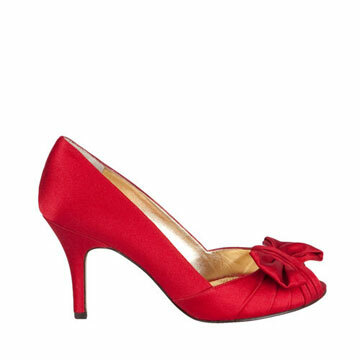 Who doesn't like a little red peep toe, so cute! The crystals in these shoes are tooo DIE for!!! Classic Black for an evening look with a peep toe lace front, so LOVE this!